The veteran-laden Crusaders are eyeing the school’s first state title in 13 years while the Vikings hope to build a competitive pitching staff from the ground up following Day One. 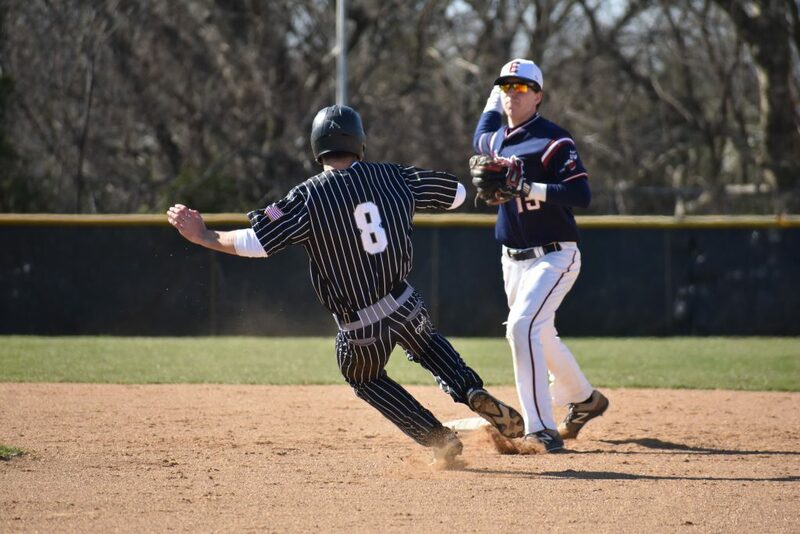 Sam Tropiano and Rob Christ have been around long enough to know that it’s unwise to put too much emphasis on high school baseball’s opening day. Combined, the two South Jersey coaching veterans have more than 1,000 career wins in 57 seasons. Tropiano’s in his 34th season at Bishop Eustace Preparatory School; Christ is in his 16th at Eastern Regional High School after six years at Gateway. A game played under an inviting sun on a brisk afternoon in Pennsauken, on the first day of the first month of the spring season, isn’t going to decide conference champions or playoff seeds. But when it’s a matchup of two of the area’s consistently strong programs, it is at the very least an indicator of where those teams stand on Day One. The host Crusaders rode the momentum of having a veteran pitcher on the mound and took advantage of the Vikings’ overall lack of pitching in rolling to a 12-0 win, a game ended after 4 ½ innings by way of the 10-run mercy rule. Eastern, meanwhile, no longer has All-State outfielder Jack Herman, the school’s all-time hits leader and current Pittsburgh Pirates prospect, in its lineup and it’s also rebuilding its pitching staff. The Vikings have some strong performers back who should keep them competitive (including seniors Jake Winsett and Dylan Stezzi) but may have a difficult time trying to capture their first sectional title since 2014 if they don’t have enough pitching. 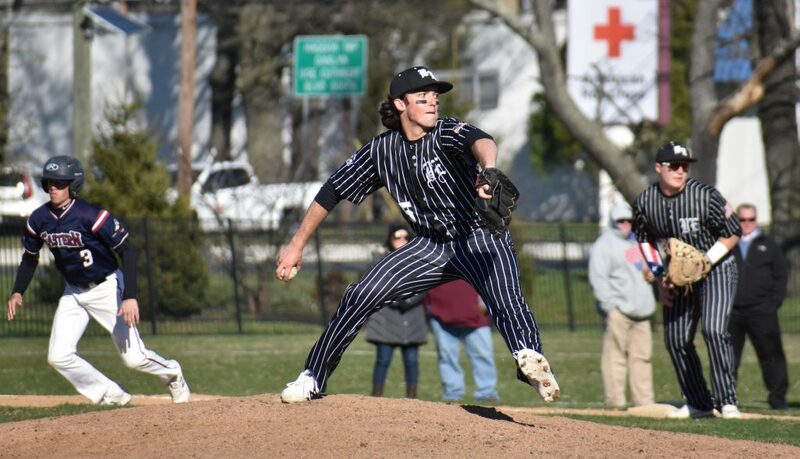 While Eastern attempts to build as the season progresses, Bishop Eustace’s veteran team, led by Orlando, Guzzardo, Johnny Piacentino, and juniors Nick Senior and Chase Conklin, are eyeing the state crown that’s eluded the proud baseball program for more than a decade. The Crusaders have eight state titles in school history – only Gloucester Catholic has more in New Jersey – but are in a dozen-year drought. Bishop Eustace’s last title came in 2006. 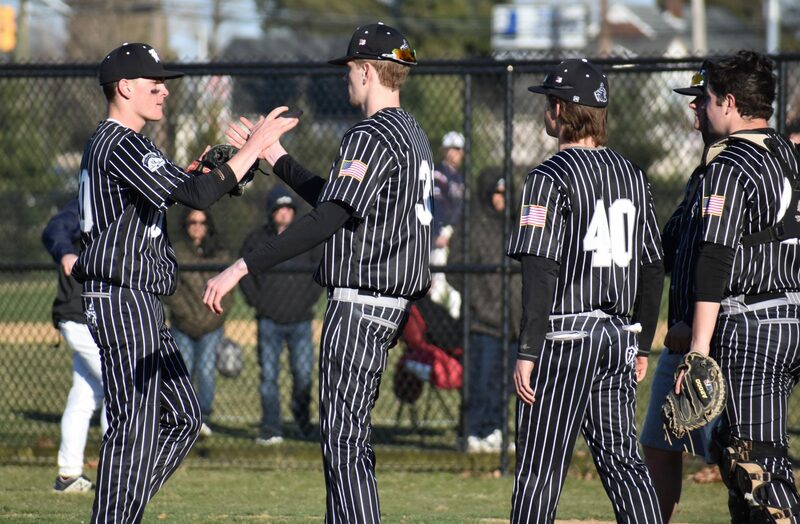 Last year, they suffered a walk-off defeat to St. Augustine in the South Jersey Non-Public A semifinal, and the year before, in 2017, they were up 3-0 in the sixth inning against St. Augustine before suffering a 4-3 loss in extra innings. Tropiano isn’t going to make too much of one game on April 1. But he knows he has the depth and a legit top starter to trot out in big games in May and June. 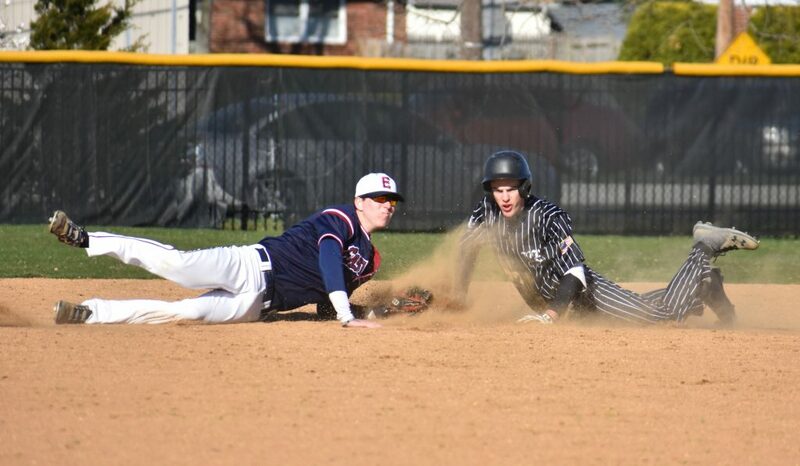 Pick up the April 10-16 edition of South Jersey Sports Weekly inside your Sun Newspaper to see a full-page photo gallery of the April 1 game between Eastern Regional and Bishop Eustace.